We have newly developed the DPharp EJX series of pressure and differential pressure transmitters with the advanced silicon resonant sensor. The DPharp EJX series employs a multi-sensing technology that enables both differential pressure and static pressure to be measured simultaneously. This technology eliminates the need for pressure gauges, contributing to cost reductions in plant installations. Moreover, the silicon resonant sensor featuring long-term stability further enhances the transmitter quality and reliability that have already been demonstrated by the industry-proven EJA series. 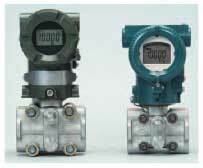 The minimum response time and compactness of these intelligent differential pressure transmitters have been achieved using innovative technologies. The user-friendly multifunctional LCD display and the enhanced self-diagnostics and maintainability provide users with increased operation efficiency. The DPharp EJX series offers a wide variety of models, including diaphragm-sealed gauge pressure transmitters, diaphragm- sealed differential pressure transmitters, screw-mount gauge pressure transmitters and differential mass flow pressure transmitters. In addition, it ensures conformability to various standards, including flame explosionproof, intrinsically safe explosionproof, safety standards SIL and EC directives. The series also ensures compatibility with HART and FOUNDATION fieldbus communication protocols. Thanks to the enhanced flexibility in model selection and the added transmitter functionality, the EJX series has the excellent capability to meet the need for versatile applications, further contributing to minimizing customers' total cost of ownership (TCO). Since the release of the DPharp EJ series in 1991 and the DPharp EJA series in 1994, nearly 1.2 million of these transmitters have been operating all over the world. Recently, we have also developed the EJX series of even more compact, lightweight and advanced transmitters with multi- sensing capabilities built using silicon resonant sensor technology. Figure 1 shows external views of the EJA series (left) and EJX series (right). Differential pressure transmitters are designed to measure the differential pressure between the high- and low-pressure sides. In flow rate measurement, however, the pressure on the high- pressure side (hereinafter referred to as the static pressure) must also be measured and the flow rate calculated in order to make fluid density corrections, for example. The EJX series of differential pressure transmitters can provide static pressure readings, thus achieving two purposes (differential pressure and static pressure) with just one instrument. The pressure on the high-pressure side can be switched to the pressure on the low- pressure side by changing the parameters. As a result, the tank's internal pressure can also be measured in tank level measurement. 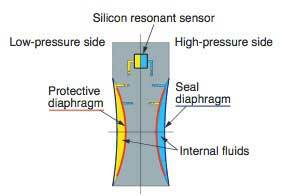 The silicon resonant sensor incorporated into the DPharp series features two resonators (formed using MEMS technology) at the locations of the silicon diaphragms where tensile strain and compressive strain occur. The resonance frequencies of these resonators are represented by the following equation. The differential pressure and static pressure signals can be calculated by making differential computations and summational computations of the two resonators respectively. The resonance frequency calculation is simplified here into the following equation for ease of explanation. As is understood from these relational equations, calculating ∠f12 a · ∠f22 eliminates the terms related to static pressure and provides a differential pressure signal. Likewise, calculating ∠f12 b · ∠f22 eliminates the terms related to differential pressure and provides a static pressure signal. 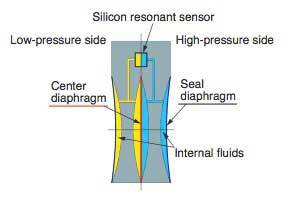 It is the primary feature of the silicon resonant sensor that by previously determining each coefficient from actually measured appropriate data, differential pressure and static pressure signals can be calculated from the deformation in the single diaphragm by simply making differential and summational computations. 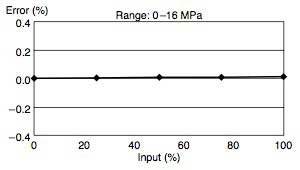 Figure 2 shows the accuracy of static pressure, where the accuracy range is ± 0.2% for a static pressure of 1 MPa. In an even more sophisticated differential pressure mass flow transmitter, an accuracy range of ± 0.1% has been realized for a static pressure of 1 MPa by taking advantage of this feature. It is easy for differential pressure transmitters the EJX series with FOUNDATION fieldbus to simultaneously pick up both differential pressure and static pressure signals. A static pressure indication function based on the built-in display has been provided in the EJX series with HART protcol. A multivariable transmitter already exists that measures differential and static pressures using multiple sensors. The EJX series is the world's first series of differential pressure transmitters that can measure both differential and static pressures with just one sensor, as well as provide pressure readings and outputs. The silicon resonant sensor used for the EJX series is stable because of its operating principle. Not only its records of long- term field use, but also the results of a 15-year long-term drift test demonstrate that the series has exceptionally superior operating stability (see Figure 3). The sensor has the excellent elastic characteristics of silicon. The sensor has a large gauge factor ( ≥ 2000) and therefore has high pressure sensitivity. Since the resonance frequencies of resonators depend on their mechanical and structural dimensions, the sensor has extremely small temperature coefficients and extremely low impurity- ion sensitivity, compared with piezoresistance-based sensors. As a result, the sensor features excellent long-term stability. The resonance frequency can be read directly using a counter for CPU-based high-precision data processing. Thus, the sensor lends itself to application to intelligent transmitters. In addition, since the sensor is free from the A/D conversion errors which are inherent in pressure sensors based on other operating principles, the accuracy of the sensor can easily be made higher. By making the most of the features of silicon resonators with a large gauge factor and by only processing signals from the two resonators, it is possible to obtain differential pressure and static pressure signals, which are more stable than those of piezoresistance-based sensors. In the EJX series, a new overpressure protection mechanism has been adopted, the electronics has been made capable of high- speed computing, in order to be able to support high-speed control, such as the steam flow control of turbines. As a result, a 63% response time of 95 ms has been achieved. In the existing EJA series of differential pressure transmitters, the center diaphragm which is the overpressure protection mechanism displaces due to the pressure being measured, as shown in Figure 4, causing the internal fluid to move. Thus the pipeline resistance arising when the fluid moves affects the response time. The new overpressure protection mechanism that has been adopted for the EJX series is illustrated in Figure 5. This mechanism is characteristic in that it comprises two mutually independent overpressure protection mechanisms on the high-pressure (H) and low-pressure (L) sides. This mechanism prevents the internal fluid from moving within the pressure measurement range, enabling the EJX series to provide fast responses. For the electronics and software, the following three measures have been taken to reduce the computation processing period to one fourth that of the conventional transmitters. Fractions smaller than one pulse are measured using the circuit for counting frequency signals, so that the frequency can be measured without sacrificing the resolution even for shorter sampling times. Details are discussed in next chapter. By using the following four methods, we have succeeded in improving the speed of pressure calculation processing by a factor of 4, compared with that of the existing EJA series. • The frequency of floating-point calculation has been minimized and fixed-point calculation has been adopted. • Calculation factors with minimal changes are calculated in background processing, minimizing the number of calculation factors for pressure. • The reference clock has been successfully speeded up by the low-power-consumption design of devices. • The performance of the microprocessor itself has been improved. By utilizing micromachining technology, we were able to increase the output voltage of resonators by a factor of 1.5, without changing their fundamental structure (Figure 6). This has resulted in the dramatic stabilization of the output voltage, greatly reducing the signal processing time. Figure 7 shows the step response characteristics of the most typical EJX110 differential pressure transmitter (M capsule) in the EJX series. Figure 8 shows the building blocks of differential pressure transmitters in the EJX series. The transmitter as a whole roughly consists of the pressure-receiving unit and the transmission unit. By employing the new overpressure protection mechanism, we have downsized the pressure-receiving unit so that it weighs only 2.7 kg, a 30% reduction from the weight of the EJA series. The pressure-receiving unit consists of a capsule, cover flanges and process connectors. The transmission unit consists of a electronic unit and a terminal box, which can be used for every model in the EJX series. This unit contains a digital LCD, through which users can monitor differential pressure and static pressure signals. In order to realize a differential pressure transmitter that is immune to temperature effects and can perform stable measurement, focus was placed on the design effort to minimize the amount of fluid sealed in the pressure-receiving unit. By adopting the new overpressure protection mechanism mentioned above, we were able to reduce the amount of fluid by a factor of 10, compared with that of the EJA series. The pressure-receiving unit features a symmetrical structure resistant to the effects of various external pressure disturbances. The amounts of high- and low-pressure side fluid within the capsule are well balanced so that effects due to the expansion or compression of the internal fluid caused by temperature or static pressure changes are minimized. Highly nikkel alloy, an industry-proven highly corrosion- resistant material used for the EJA series, is also used for the seal diaphragms. There are no welded parts exposed to the atmosphere. A forged 316L stainless steel material is used for the body, thereby realizing a highly corrosion-resistant structure. In order to mitigate the effect of load caused when the cover flange is fastened, consideration has been given to mechanical isolation. The surfaces of the seal diaphragm's welded part and the part onto which the gasket is fastened have been separated from each other in order to prevent any strain due to tightening load from arising in the seal diaphragm. The cover flange, which is a user interface with the process, employs an IEC61518-compliant structure. The EJX series uses the same method of resonator excitation as used for the EJA series (Figure 9). We have newly developed an ASIC device based on low-noise design while simultaneously featuring low current consumption, thereby achieving performance three times or more higher than that of the conventional series. Figure 10 shows the overall block diagram of the transmission unit. Note that frequency signals from the resonator are asynchronous to the reference clock of the counter circuit. For this reason, time periods (fractional lengths of time) that are shorter than that of the reference clock and therefore cannot be measured, occur at both ends of the sampling time interval in the case of the reciprocal method based counter circuit employed for the EJA series. Consequently, measured values will suffer an error equivalent to ± one count. If the sampling time is shortened in order to realize high- speed computation processing without speeding up the reference clock, this error is intensified, worsening the resolution of the counter circuit. If the reference clock is excessively speeded up, the current consumption will increase, thus failing to satisfy the product specifications. In addition to the conventional reciprocal method, the EJX series employs a time expansion method2 in which these fractional lengths of time are extended by a factor of 64 and then measured. With the time expansion method, we have been able to achieve low power consumption and high speed, as well as high resolution five times or more superior to that of the conventional series, by taking additional measures such as the inclusion of a dedicated counter. By adopting a multiplex D/A conversion method for the D/A converter unit, we have realized fast response 10 times or more superior to those of the conventional series, while simultaneously maintaining high resolution. A 16-bit D/A conversion circuit has been employed in the 4 20 mA output circuit and the range of current output satisfies the NAMUR NE43 standard. In consideration of the importance of ease of perception, the built-in display has been enlarged while the EJX series as a whole has been downsized (Figure 11). A bar graph, process value, exponent and unit have been added to the existing elements to be shown on the display. Users can select a maximum of four process values from the following five: 1) percent differential pressure value, 2) actual scale value with unit, 3) differential pressure value, 4) percent static pressure value and 5) static pressure value. The selected values will then be cycled through on the display. The bar graph with its sophisticated design enables users to determine at a glance whether the current process value is within the normal operating range. A maximum of six characters can be defined and shown as the unit of actual scale value readings. The display has been functionally enhanced so that the most often used unit of, for example, flow rate can be set by users. Users can also show exponents (x 10, x 100 and x 1000) to be used for actual scale value readings. In case of fault detection, the display shows a short message that provides information on the alarm in addition to the alarm number. As a result, users can quickly know the contents of the alarm from the short message without checking any document for the alarm number. For an alarm raised with regard to the parameter settings, process values or operating environment, the display alternates between the alarm number and the process value. For an alarm raised with regard to the transmitter itself, the display only shows alarm information to enable users to obtain the required information as promptly as possible. This section discusses an example of the characteristics of EJX110 (M capsule; pressure measurement range = ± 100 kPa), the most typical model in the EJX series. 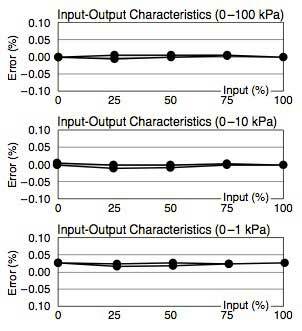 Figure 12 shows input-output characteristics in the 0–100 kPa, 0–10 kPa and 0–1 kPa ranges. 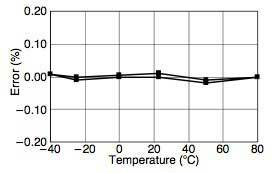 Figure 13 shows changes in the zero point when the ambient temperature is varied from 40°C to 80°C. Figure 14 shows changes in the zero point when the static pressure is varied from 0 MPa to the maximum operating pressure of 16 MPa. 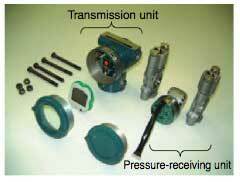 Under normal conditions, a differential pressure transmitter is often installed with a three valve manifold. As a result, overpressure exceeding the pressure measurement range may be applied to one side of the transmitter, depending on the three valve manifold operation during plant startup or maintenance work. In order to avoid possible output shifts or silicon diaphragm breakage due to overpressure, the transmitter is equipped with an overpressure protection mechanism. Figure 15 shows the effects of overpressure. Since the effects of overpressure are marginal and the transmitter has been made lightweight, the transmitter can be directly mounted for instrumentation without the need for a three valve manifold. 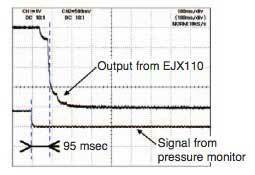 Figure 16 shows the pressure measurement range of the EJX110 differential pressure transmitter. Four types of capsule cover the overall pressure measurement range from 0.1 kPa to 14 MPa. Of these capsules, the M, H and V capsules have a rangeability of 1:200, thereby enabling users to measure differential pressure over a wide range. Remote setup and monitoring are possible from a handheld terminal or a DCS by means of HART communication. FOUNDATION fieldbus communication is also available with the EJX series. In order to support a wide variety of applications, we have a broad-ranging family of transmitters, including gauge pressure transmitters, absolute pressure transmitters, flange-mounted differential pressure transmitters, screw-in pressure transmitters, high static pressure type differential pressure transmitters, pressure and differential pressure transmitters with seal diaphragms, sanitary type pressure and differential pressure transmitters, and differential pressure mass flow transmitters. This family of transmitters has been approved as conforming to various types of intrinsically safe explosionproof and flame explosionproof. As mentioned above, the frequency of resonators is determined by mechanical dimensions and physical properties, and not affected by other disturbances, so it is easy to clarify if resonators work normally. 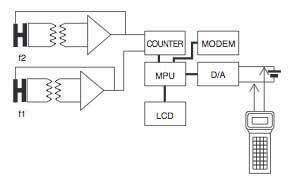 The EJX series has some programs to verify microprocessor operation. The EJX series are certified with the Safety Integrated Level 2 (SIL2). We have discussed the features, structures and characteristics of the new EJX series of pressure and differential transmitters. 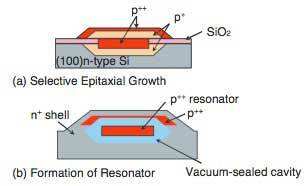 The multi-sensing function of the silicon resonant sensor will create new applications. By combining the function with software that takes advantage of these applications, it is possible to execute advanced diagnoses such as impulse line blocking diagnosis. In order for the EJX series to evolve as multifunctional transmitters rather than just as regular differential transmitters, we will continue to develop and offer next-generation sensing technologies. DPharp EJX is a registered trademark of Yokogawa Electric Corporation. Other names of products and systems that appear in this document are the trademarks or registered trademarks of their respective holders. The accurate and stable measurement of process pressure with Yokogawa Pressure Transmitters supports the safe, reliable, and profitable operation of your plant.